Gardening is an activity that can range from growing a colorful row of nasturtiums lining a window box to harvesting acres of raspberries. But the process of gardening, from planting a seed to watching a plant develop, is a joy that I’ve felt since I was little girl. The basic principle of gardening is change and growth, just like life. One rule of thumb that has been true since the beginning of time is that change is inevitable — nothing ever stays the same. I have gained a new way of seeing both myself and the world I live in from all the time I spend in the garden and over time, I’ve begun to realize that the life lessons I’ve learned from enjoying the process of gardening are as diverse as the variety of plants that exist! Here are some of a few of my favorite lessons, fresh from the garden. Enjoy the season and may it bring peace and joy to you and your family. You can wander into Bakerview Nursery or the Garden Spot and purchase any plant you desire, but if the soil you intend to place them in is not prepared well, or is not suited to what you intend to grow…your plants will suffer for it. This lesson holds true in so many other phases of life as well. The foundation of our general well being needs to be well-grounded, supported and rich with “the good stuff” in order for us to thrive. That foundation may depend on varying parts of our spirituality, family, physical health or financial well-being, and many other types of support, but that support is essential. In the end, our ability to grow is dependant on how we prepare and mix these foundations that allow us to thrive and grow strong – just like our plants. One of the most difficult concepts for beginning gardeners to understand is that individual plants require trimming, cutting and culling to thrive. Plants cannot grow well if they are choked out by other plants or allowed to extend themselves so far that their energy can’t be focused back toward producing blossoms, fruit or healthy stems and leaves. In people, the ability to weed out activities that don’t bring us pleasure or contentment, and trim back the fat or unkempt portions of our lives helps to contribute to our overall health and well being. A tree with branches that double back and crisscross over each other – effectively ceases its own growth and entangles its living branches. Similar to how we can allow too much in our lives to strangle our choices and choke out the pleasures of simplicity. To make sure your garden is beautiful year round — and for many years to come, (instead of only looking good just as you’ve planted it), one must consider the future. Keep in mind that different plants bloom at various times of the year, and while one corner of the garden blooms merrily away, another might lie dormant. Other thoughts to consider might include each plant’s growth speed as well as what the mature height, width and average spread might be over several years. Life works that way too; a little planning ahead goes a long way to limiting potential growing pains, enjoying the beauty of the process and smoothing out the future. Effective gardeners develop a keen sense and understanding of the rhythms of the seasons… they are naturally intuitive to a seasonal clock of when to put certain plants in the ground. 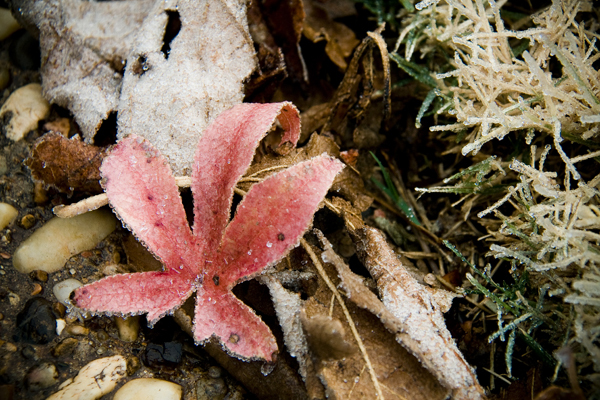 Plant too early and vegetables or flowering plants might freeze and die. Plant too late and the summer heat can kill off tender young shoots. One must always remember that it pays off (more than you think!) to harvest what you grow. Not just to enjoy the fruits of your labor, so to speak, but removing portions of the garden at certain times makes room for the next round of plants to flourish during their season. This is so true in many phases of life. We forget to take the time to enjoy that which we work so hard to create. Learning to indulge in a little bit of our resources each day is a healthy and positive way to reward ourselves for all our hard work. And it never hurts to awaken your senses to all the joys and pleasures around as you consider what your daily reward should be! Sometimes something bizarre might surprise you in the garden. Maybe a wrong label was attached to a seed packet or a pot was mismarked at the shop and you find a total unexpected plant growing in the middle of your yard. This has happened several times to me over the years and while at first I was disappointed when I didn’t get the plant I was anticipating – by the middle of the season, I found pleasure in the unexpected burst of color or foliage that appeared. Life works like that too. Although the life surprise might upset the balance or change the routine momentarily, it seems the unexpected always works itself out and more often than not, is welcomed – at least after the initial shock wears off. Sometimes a perennial will take a notion to seed itself smack dab in the middle of the yard instead of inside the boundaries of the bed. A short plant might get tucked behind a tall one or perhaps two brightly foliaged & budding plants fight for attention along the border. Feel confident in your ability to take action and change things! Dig up that short plant and bring it to the front. Move that bloomer to the other side of the garden where its hot orange flowers & chartreuse foliage don’t fight in competition against the explosive red petals and deeper brown leaves. It is okay to move things around, sometimes it’s essential to survival. Just as change is great in the garden, so it is with life. When I find I grow slightly irritated with where I currently am – I just gently remind myself it is okay to make changes to grow as a person and reposition! If you are in need of a residential or commercial yard clean up or grounds maintenance work, give us a call and tell us about your landscaping needs. 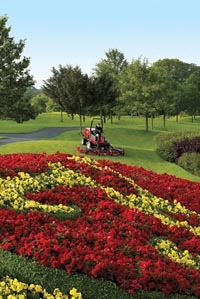 We would be happy to give you a free estimate and work with you to give your landscaping the care it needs this season. Our Garden and Winter Yard Clean Up services include pruning, leaf clean up, branch and debris clean up, mulching, hedge and shrub trimming, weed control, fertilizing, increasing curb appeal, yard waste removal, weeding, yard clean ups, spreading new beauty bark or gravel, planting and/or removal of plants, and much more. 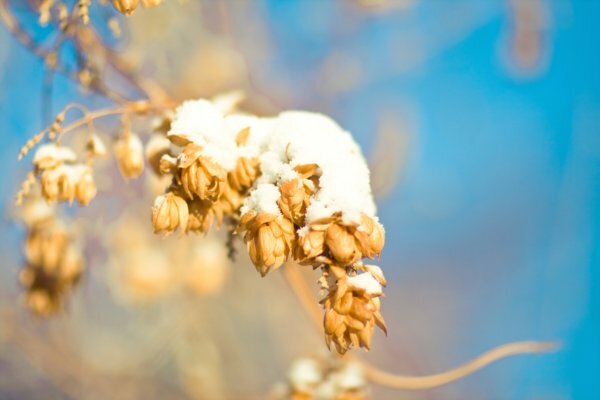 Remember to mulch now to protect your plants before it snows! Call Green Thumb Company at (360) 671-LAWN for a free estimate, or Request a Quote directly from our website.